A cohort of East Renfrewshire senior pupils is heading out to Malawi in October 2018. The pupils will be supporting the work of the Betty Cunningham Trust www.bettycunninghaminternationaltrust.co.uk at the Dambo Village School. The pupils will carry out manual labour, ensuring that the fabric of the school is maintained and they will also work with the pupils. In order to support this venture, one of the senior pupils from this group is hosting a Family Film Night for pupils and their families in Mearns Primary School. 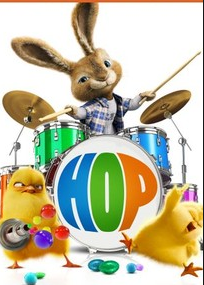 The film which will be shown is the Universal Pictures film “Hop”. The charge will be £3 per ticket (per seat). Children should be accompanied by an adult. Doors will open at 5.30pm, for a 6pm start. There will be a 20 minute interval during the film and snacks, hot dogs and juice will be on sale. It is anticipated that the film will finish at 8pm. There will be an opportunity for face painting and a novelty stall. An Easter themed raffle will take place also. If you would like to make a donation for the raffle, please leave this with our school office staff. Tickets will be available at the door on a first come first served basis. Your support for this good cause will be greatly appreciated.